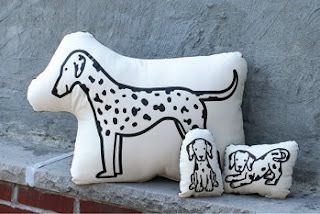 Check out these cute pillows from Cosas! Perfect for the dog lover- it's the second best thing to having your own ball of fur to cuddle up to. The Firehouse Family is available from Cosas' webpage for $158. 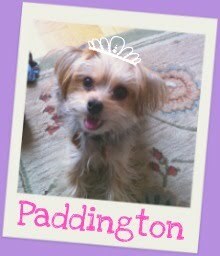 Paddington says: "Definitely cute, but there's no substitute for a real wet nose and wagging tail!" While New York is one of the most dog-friendly cities we’ve found during our travels, finding good dog-friendly restaurants can be tricky. Will my dog be able to sit next to my table, or will they have to sit on the other side of the barrier? Is there a water bowl? Will the servers be willing to accommodate my dog if there isn’t? And why, in a city that is filled with dog lovers, is there no restaurant database... Oh wait... There is!! Dear EddieEatsOut.com, where have you been all my life?!? Curated by doggy gourmand Eddie (who also has his own blog), the database includes dog-friendly dining and drinking establishments in New Hampshire, New York, Maine and California. Whether you’re looking for details on a specific restaurant/bar, or just browsing for a fun place to take the pup, this site is a great resource. Each review covers service, food, water bowl (v. important), and contains an eater notes and tips from Eddie and his canine pals. Your pup can even submit their own reviews for inclusion on the site! Go and bookmark EddieEatsOut.com immediately. The countdown to Paddy's 3rd birthday has begun, which means, it's time to start thinking about cake. Mmmm. This birthday really give your pup something to brag about at the dog park- a delicious cake baked just for them from Kool Dog Kafe! 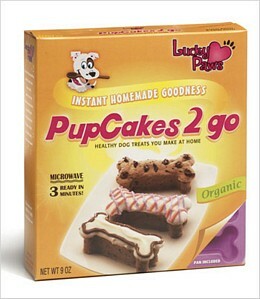 Each pet-friendly cake is decorated with dog-friendly icing and adorable sprinkles (mini bones! 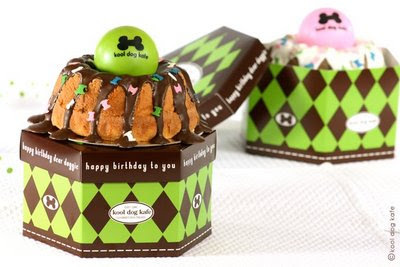 ), and comes in a cute little cake box with a special surprise for your pooch! The nice people at Kool Dog Kafe will even let you pick what color ball tops off Fido's frosted treat. Large cakes (good for a large group at the dog park, probably about 4-8 dogs) will set you back $24.99 , while a small cake (good for 2-4 dogs) runs for $13.99. But don't fret if your pups don't finish the cake in one sitting (probably a good idea)- the nifty box it arrives in kept ours fresh for about a week. Cakes are also freezable for all those planning ahead. For those with concerned about picky eaters, have no fear! We can say that there weren't any complaints from the finicky Barkistas at Paddy's birthday party last year. Don't forget to stock up on Kool Dog Kafe's delicious looking cupcakes and treats for your party as well! Having grown up with dogs all my life, I thought I knew what I was in for: Feed + walk + bathe + occasional vet visits = unconditional love, right? Um. Wrong. I also swore that I would never dress my dog up, speak to her in baby voice, have more than 5-6 photos of her on my phone, etc. From finding the right vet, to deciphering dog park etiquette, there was a lot to figure out, but after three years, I think I’ve kind of got it figured out. While somewhere along the way I’ve become that girl who carries her dog in a bag (and whose dog may, or may not, have a small designer wardrobe), I’ve learned to embrace it and have fun. I started Barkzilla, a style-oriented NYC centric dog blog, in 2009 as a way to share with other dog lovers some of the things I’ve learned or found along the way. After putting my “pet” project (harty har har) on hold for several months, I am excited to get it up and running again. I am by no means a pet expert or professional, just a girl who loves her dog very much and hopes you’ll enjoy her crazy dog stories and pet-friendly finds. In addition to posting stories from our archive, we’ll be adding new content shortly, so please make sure to visit again soon!